Sublime with Rome have recently announced dates for “Blessings” tour 2019. Sublime with Rome will kick-off this 40-date tour on Jun. 2nd at Quechan Casino Resort – Winterhaven, CA. 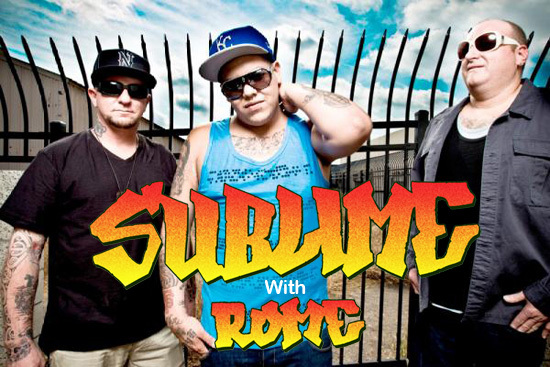 Sublime with Rome will be performing across major U.S. venues – including shows in cities like Bloomington, Bonner Springs, Magna, Las Vegas, Tucson, Paso Robles, Tuolumne, Bend, Billings, Nampa, Chicago, Pittsburgh, Uncasville, Virginia Beach, Cocoa, St. Augustine, Charleston, Rogers, New Braunfels, Houston and many more. SOJA, Common Kings and Michael Franti & Spearhead. will be joining as special guests for select dates. Sublime with Rome will wrap-up this massive summer tour on Aug. 4th with final show at The Pavilion at Toyota Music Factory – Irving, TX. Tickets are available for sale at Ticket Hub.